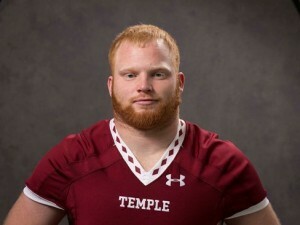 Former St. Joseph High School standout Tyler Matakevich, a senior linebacker from Temple University, has been named by the Walter Camp Football Foundation as its 2015 “Connecticut Player of the Year.” Awarded annually to the top college football player who is a resident and/or played scholastically in the state of Connecticut, the Connecticut Player of the Year is selected by the all-volunteer membership of the Walter Camp Foundation. A native of Stratford, Matakevich is the first player from Temple to earn the Connecticut Player of the Year award. The 6-foot, 1-inch, 232-pound Matakevich has been a four-year letterwinner for the Owls, who reached the American Athletic Conference title game. Temple (10-3) will face Toledo in the Marmot Boca Raton Bowl on Tuesday, December 22 in Boca Raton, Fla.
A finalist for the Bronko Nagurski and Bednarik awards, Matakevich has led the Owls in tackles in all 13 games this season (the only FBS player to do so) on his way to being named the 2015 American Athletic Conference Defensive Player of the Year. For the season, Matakevich has totaled 126 tackles (75 solo), including 15 for losses. He has 4.5 quarterback sacks and five interceptions. His best game came on September 5 when he registered seven tackles, including three quarterback sacks, as the Owls upset Penn State. The following week, he totaled 13 tackles and two interceptions in a win over Cincinnati. 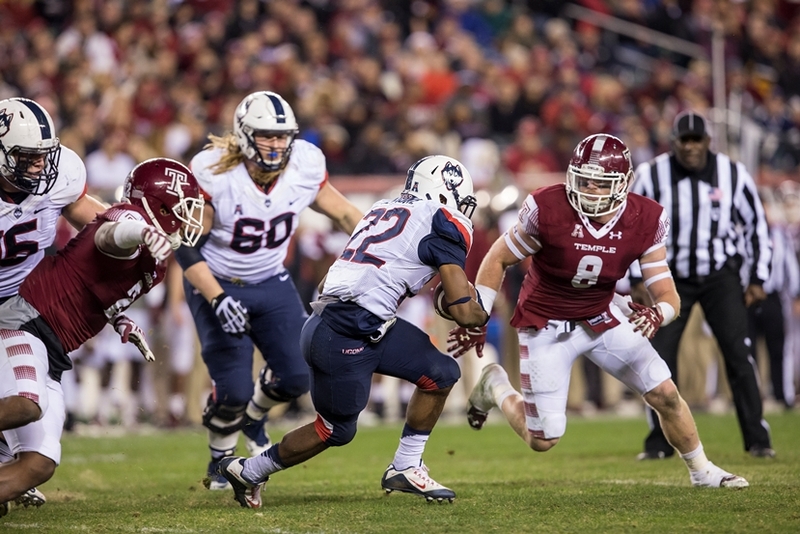 For his career, Matakevich has totaled 469 tackles and is the NCAA’s active career leader. He is one of seven players in NCAA FBS history to record at least 100 tackles in four consecutive seasons. Matakevich is a three-time First Team All-American Athletic Conference selection. At St. Joseph High School, Matakevich was a two-sport (football and baseball) standout. He led the Cadets to two straight state football titles and was an All-State selection following his senior season in 2011. He then prepped at Milford Academy for one season before enrolling at Temple in January 2012. Matakevich will be recognized at the organization’s national awards banquet, presented by First Niagara Bank, on Saturday, January 16, 2016 at the Yale University Commons in New Haven. In addition to the 2015 Walter Camp All-America team (which will be announced on Dec. 10), the Foundation will recognize three individuals – Special Olympics CEO Tim Shriver (Distinguished American), former Florida State and Oakland Raider standout wide receiver Fred Biletnikoff (Man of the Year) and former Grambling State All-American and NFL quarterback Doug Williams (Alumnus of the Year) – with major awards. Please visit www.waltercamp.org or call (203) 288-CAMP (288-2267) for more information.